the opportunity to join our family. our hockey teams to offset rising costs to parents. Please take the time to review the program below. Consider helping us to the keep the costs down for our kids. The O.C.H.L. 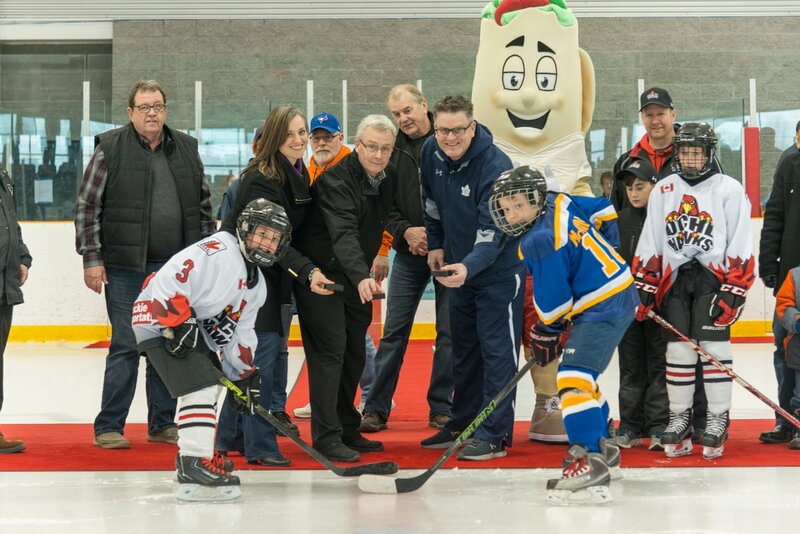 has more than 54 house league teams hosting more than 1000 players, parents and family watching every week. Sponsorship of our teams is great exposure and is a great thing to do for our kids and our community! with the best exposure of all Oshawa leagues. OCHL Divisions: Instructional (Learn to Play), IP6, Tyke, Novice, Atom, Pee Wee, Bantam and Midget. 1. The OCHL undertakes to maintain all jerseys in a proper state of repair. 2. The league shall have the up to three colour sponsor bar put on the back of a team’s jersey. 3. The league will, as much as possible, allocate the team specified by the sponsor. If the sponsor does not specify a team, the league shall select a team. 4. If the sponsor requests special logos or artwork, prior agreement must be made. Any additional cost of special logos or artwork shall be the responsibility of the sponsor. 5. The Director of Sponsorship will work with the sponsor to solve any problems that may arise from name bars, artwork, and/or fee. 6. Sponsor link, logo and blurb will be added to the O.C.H.L. website when provided by the sponsor. a. Signed sponsorship application returned ASAP to the OCHL indicating commitment, but no later than September 30th, of the sponsorship year. b. Invoices will be sent to sponsors if payment is not included with application by October 7th of the sponsorship year. c. Please provide payments at OCHL office by October 15th of the sponsorship year. Fees are to be made payable to the O.C.H.L. and will be picked up by the Director of Sponsorship. Any questions or concerns please contact the Director of Sponsorship. for their amazing contribution to children's hockey.